Let's all breathe a heavy sigh of relief. 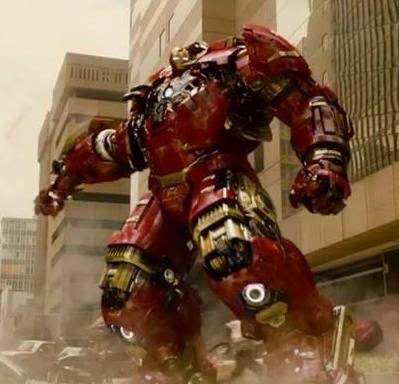 Finally, after years of anticipation, The Avengers: Age of Ultron (2015) is upon us. All those images, sweet trailers, and the seven-year cultural dominance of the Marvel Shared Universe is coming to fruition. This is all very exciting of course, and it's great to have another superhero installment to appease nerds across the world, but isn't there something amiss in all this? Something that just feels like masturbating in the dark? Of course there is. Here, in Summer 2015's first installment of the Road to a Blockbuster it's time to examine the commercial, critical, and cultural prospects of what will surely be one of 2015's biggest movies - Age of Ultron. Iron Man offended a Witch Doctor. Ultron is a really classic Avengers villain in the sense that he's kind of stupid and hokey but generally needs the whole team working together to beat him. His conflicts are always a pretty big deal, but he was still never that totally top-tier Marvel villain. He was never a Doctor Doom or Magneto, or hell, even a Venom in terms of either popularity or even interestingness. Then again, when compared to their other properties, the Avengers were always this sort of B-Roll next to Spider-Man and the X-Men. So Ultron's this B-villain. This has of course all changed in the past couple years, which is a monumental feat by a studio that didn't exist just a few years ago, and was so broke twenty years ago that they sold off half the rights to their most popular characters. Marvel has shown that they really know what they are doing, though, and as more and more studios attempt to emulate their strategy and fail miserably, it only further proves that Marvel is the ONLY studio who knows what they are doing. I'm certainly not saying anything new by posturing that the notion of The Avengers (2012) changed the movie landscape. FOREVER! Age of Ultron therefore obviously has a lot to live up to. The Avengers was a film that I really enjoyed in theaters but has really bugged me in repeated viewings. On the surface it feels very organic, very clever, and more than anything else, very fun. That's what really keeps this film going, especially when contrasted with some of the DC films. You can ignore some of its issues because it just feels so good to go along for the ride. The other side of this fact is that its bubblegum veneer presents less themes or concepts for actual thought and analysis. But who cares, it's not what this movie is trying to be. Looking back on The Avengers is frustrating, though, because none of the character motivations actually make sense and even though it feels organic, it's really more a cheeky way to throw together these fun superheros to fight with each other and for each other for two hours. Loki in particular never seems to have a defined goal, at least one that makes sense considering his extensive planning and organization. Hulk, too, waffles between rage monster and fun hero at the whim of the screenplay. The only one who really has any actions that make sense is Thanos, whose goal is to rouse the latent potential of Earth to court his sweet lady Death, but only nerds know that. So what does this mean for Ultron? On a conceptual level, it appears to have more going for it than its predecessor. And I hate equating "dark" movies with "good" movies, but a little more danger and a little higher threat level is a good thing for these characters who by now have had a lot more room to live and breathe, particularly RDJ's Tony Stark, who is clocking in at his fifth film after digging deep into character during Iron Man 3 (2013), perhaps his best outing so far. The commercial prospects of this thing are obviously pretty damn high. It's almost an unreasonable expectation for it to match its predecessor, although it'd be sort of foolish to think that it falls short of the Billion mark worldwide, especially when it's had two billion-dollar advertisements in the form of The Avengers and Iron Man 3. It's safe to say that there is enough investment in this story that many, many people around the world will tune in. The only question is just how high it can reach. The critical response seems to be cooler than The Avengers, and I'm curious if it just isn't as much of a fun ride as the first one that masks all intelligent criticism. Supposedly it is a very substantial film, and with the balance of all its characters, including the addition of three more Avengers and expanded roles for dudes like Hawkeye that got the short shrift last time, there's a lot to pack in. The Avengers was largely balanced between its principle heroes, with everyone actually getting pretty decent screentime and little character moments that made it an engrossing experience. We can only hope for more of the same this time around. Finally, let's talk culture. Ultron is actually an interesting robotic presence that hasn't quite been done on the screen so far. There's actually somewhat of a dearth of malevolent artificial intelligence humanoids out there. Sure, there's AI, but that's usually a network like Skynet or the Matrix and sure there's evil robots, but they usually have some kind of master, like the ED-209. It's not often they can quip like Ultron can, or make all those sinister trailer-worthy lines that Jim Spader oozes with Robert California-perfection. Hopefully he's a worthy villain and I imagine he's Age of Ultron's biggest cultural boon, because he's at least the big thing that will separate this film from anything else Marvel has done. What I'm more curious about, though, is the fact that this really isn't much more than a billion-dollar advertisement for the next Phase of Marvel's Grand Scheme, mostly that being The Avengers: Infinity War (2018 and 2019). Is it possible that Ultron will get lost in the mix? And why even get psyched for this when you know it's all just a build-up to something else? I feel like enjoying the MCU is like doing heroin. We just keep chasing the dragon but we'll never catch it! There is just always something else big and important on the horizon, which ultimately, I believe will desaturate its cultural significance. There's sort of this artificial pumping up of its prospects due to its monstrous marketing machine, but what about the other end of the spectrum? I look to Ex Machina (2015), which in many ways is Ultron's companion in the AI department, but totally a film with different goals and possibilities. But that dance scene is already more interesting that anything in Ultron. Now, I'm not saying that Ex Machina will be a greater cultural force than Marvel's latest and greatest, but ten years from now it may be easier to remember what happened in that film than what occurred in the chaotic blur of blockbusters that define this era in cinema. Jeez I hope Ultron dances. So, what do you think? Will you be seeing Age of Ultron this weekend? Do you still care? Will you just watch Infinity War instead? Or Ex Machina? What is your place in culture? !